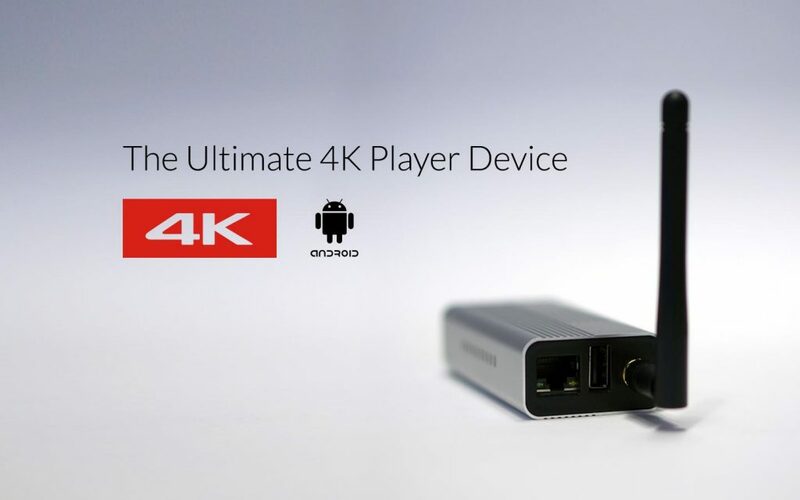 Stix 3500 is the ultimate 4K DS player device designed exclusively for QL Player. It’s simply the most powerful digital signage software media player available on the market. It supports native 4K resolution, renders content with an unprecedented quality and smoothness. Featuring HDMI-CEC display control, passive cooling aluminum shell it supports the most advanced QL Player software functionalities. It is designed from the ground up for digital signage. Stix 3500 is delivered ready to use, right out of the box. Simply connect the player to your screen’s HDMI input, hook up the USB power cable and you are ready to go. This signage player can be shipped worldwide from our offices. Stix 3500 is an external media player suitable for digital menu boards, retail, corporate communications and more… It supports digital displays, multi-display, interactivity, content triggering and way finding. Here is the QL Stix 3500. It is a powerful 4K media player with 16 core GPU designed especially for professional digital signage using the Navori QL player software. Simply plug it in into the HDMI port of your screen. It is perfect for 4K resolutions and lower. We support two types of connections either via Ethernet or WiFi. Meeting room information pulling from a scheduling tool. You can see the data in real time. A fully populated menu populated through a POS system. In this example you can see a 4K video with a ticker overlaid on top. Over here we have an example of queuing information in a car dealership with multiple layers of content. It can integrate with social media, Instagram, Twitter, other sources as well. Over here we have an example of a Media RSS so you can see the images coming in along with the news feed at the same time. This is an example of pulling XML data with stock information so you can see the data will update itself at a definable refresh rate. You have hotel type templates as well with multiple layers, real-time data, wayfinding, date and time. Over here you have a departure schedule so this is pulling the data in real-time from the database for the flight information. Navori QL Stix 3500 can manage your source selection and turn the screen on and off using CEC controls. You can also manage your players from a distance using TeamViewer.